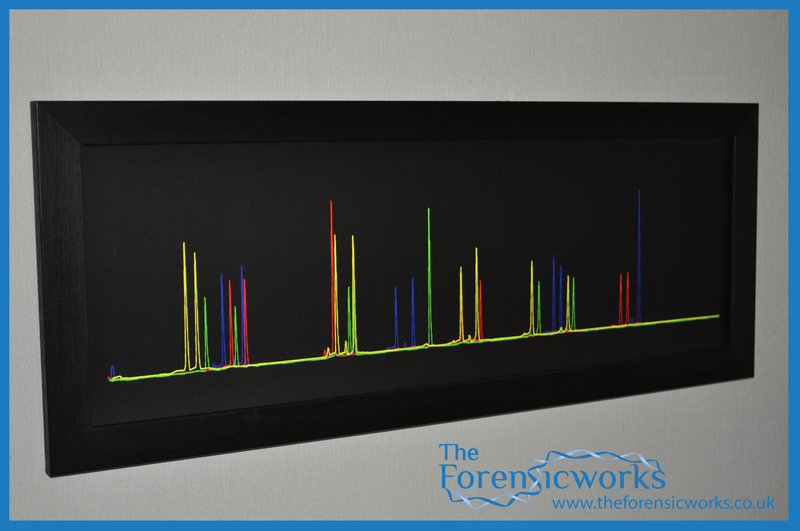 An individual DNA fingerprint piece of art always individual to you. 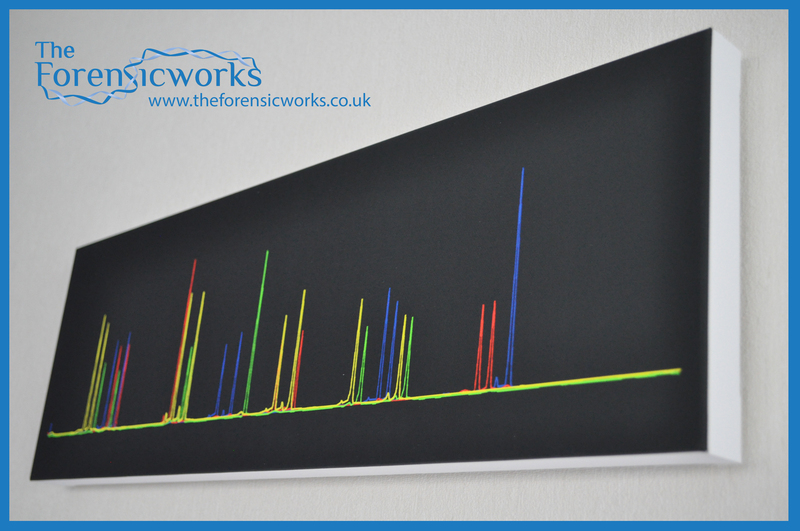 Single person Framed Print or Canvas Print by Forensicworks. 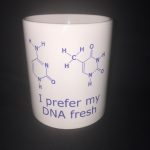 Your DNA is beautiful and individual and at DNAdigest we’re all about sharing the potential of this. 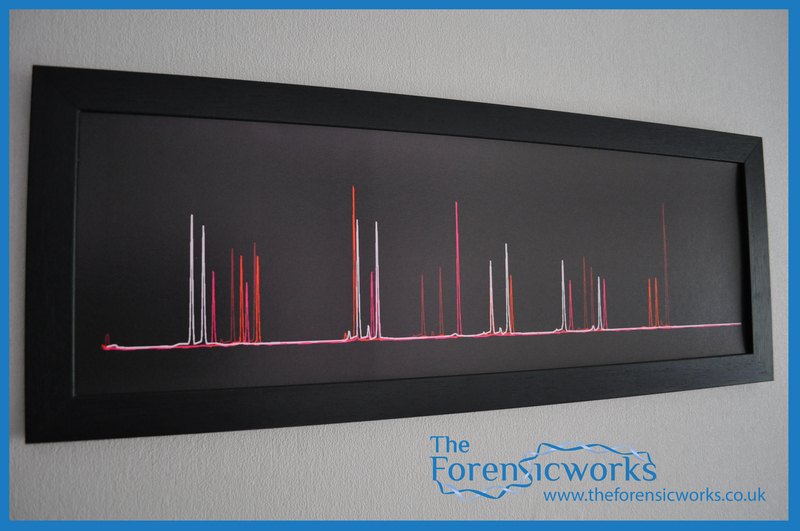 The beauty of this type of DNA fingerprint art is each is individual to you meaning no two people will ever receive the same piece. 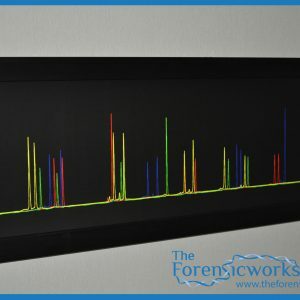 Each art piece is as unique as you and is designed by our partnership with Forensicworks. 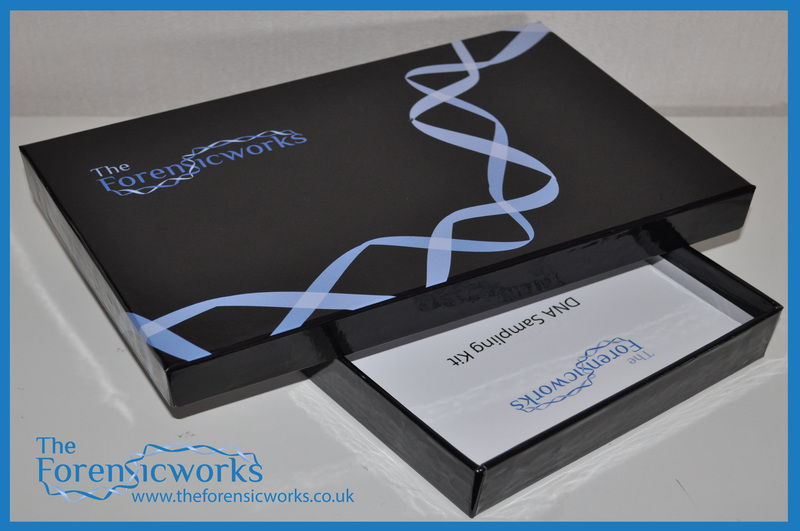 This product is offered in partnership with The Forensic Works. 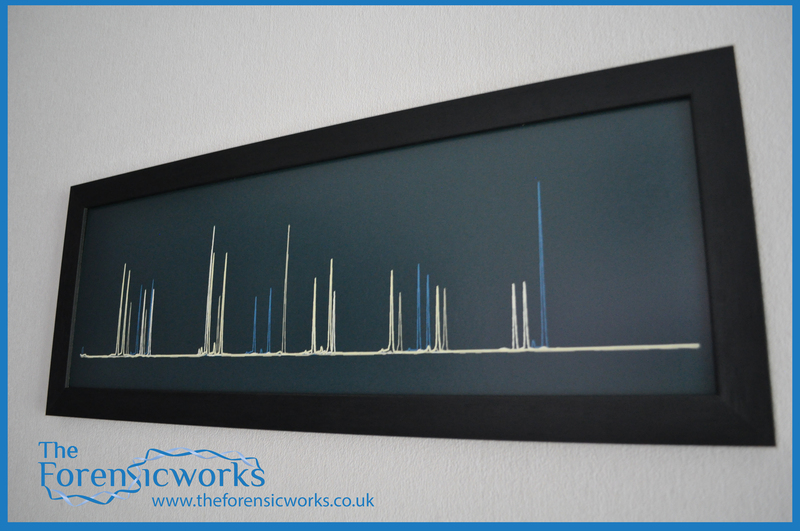 Items will be dispatched once payment has been approved and the delivery/billing address has been verified. 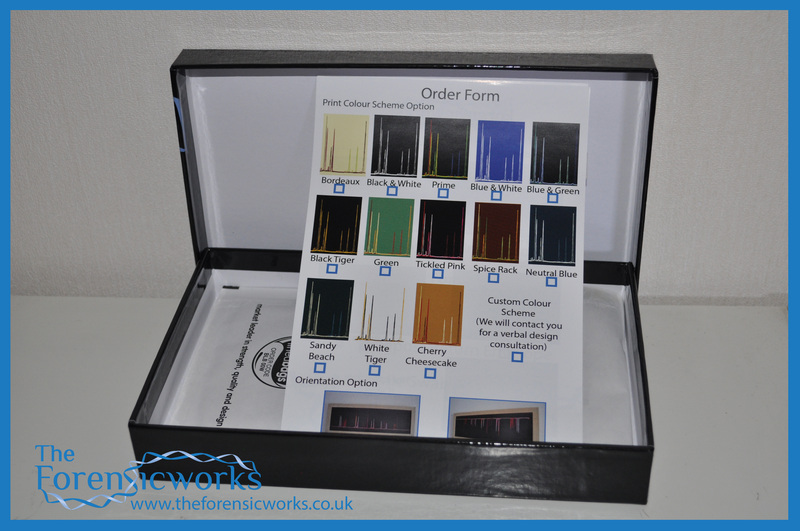 Shipping costs for a product are based upon the weight and/or dimensions of your item. *Please be aware that your patience may be requested for those harder to reach destinations, or due to unforeseen weather/traffic conditions. 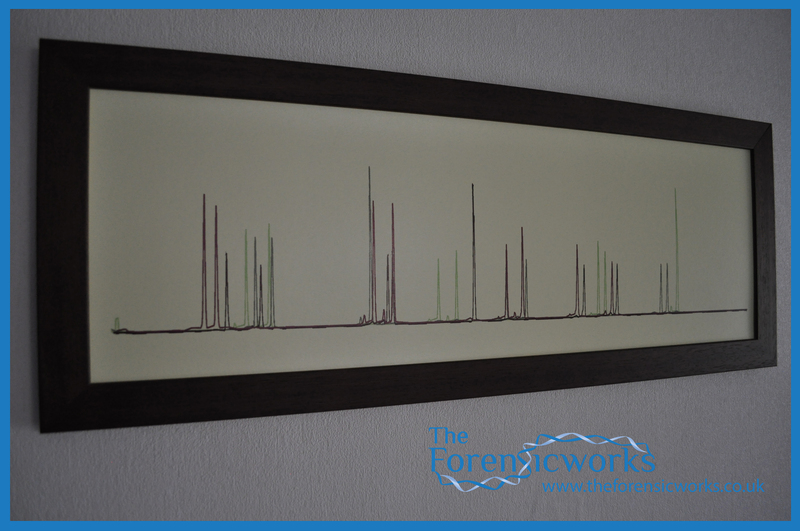 Framed DNA fingerprint on high quality paper and framed in a choice of three different wooden frames (Black, Brown or Ash). 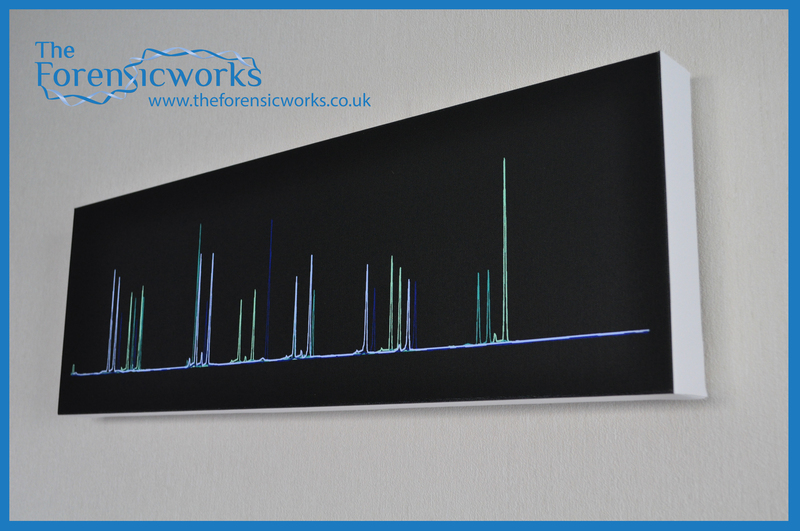 DNA fingerprint on high quality paper produced onto a canvas and stretched on a solid wooden frame to give a frameless and modern appearance.